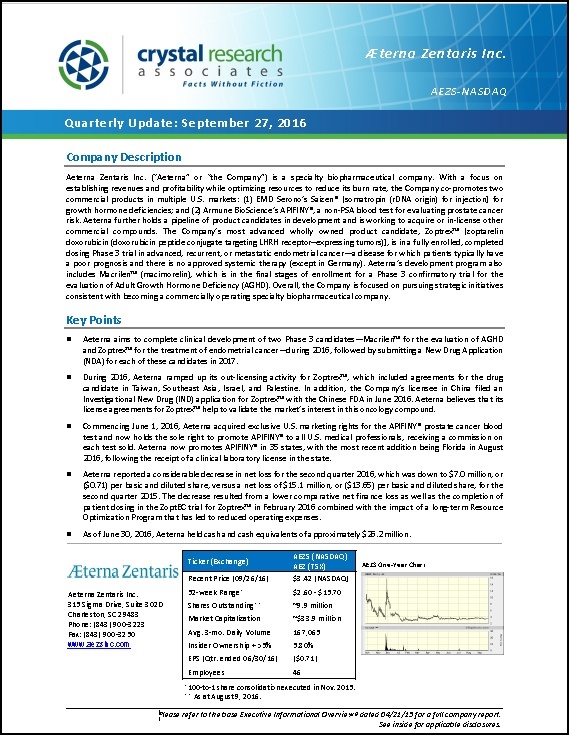 Aeterna Zentaris Inc. (“Aeterna” or “the Company”) is a specialty biopharmaceutical company developing and commercializing therapies to enhance and improve patient lives. 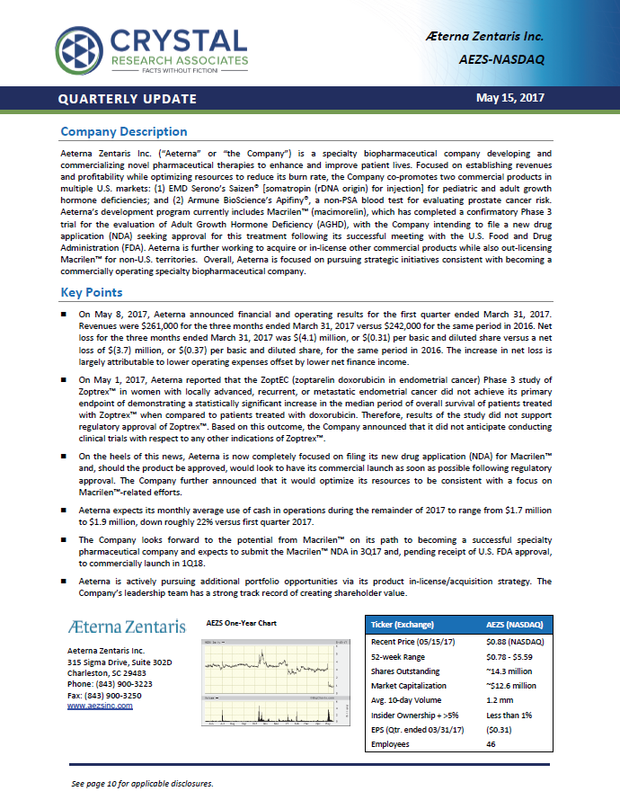 Focused on establishing revenues and profitability while optimizing resources to reduce its burn rate, the Company co-promotes two commercial products in multiple U.S. markets: (1) EMD Serono’s Saizen® [somatropin (rDNA origin) for injection] for pediatric and adult growth hormone deficiencies; and (2) Armune BioScience’s Apifiny®, a non-PSA blood test for evaluating prostate cancer risk. Aeterna further holds a pipeline of product candidates in development and is working to acquire or in-license other commercial products. 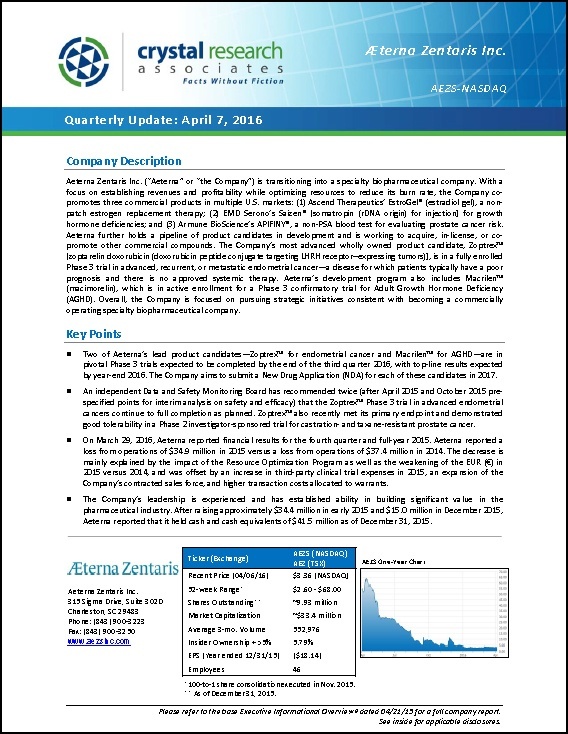 One of the Company’s wholly owned product candidates, Zoptrex™ [zoptarelin doxorubicin (doxorubicin peptide conjugate targeting LHRH receptor–expressing tumors)], has completed the clinical program of a Phase 3 trial in advanced, recurrent, or metastatic endometrial cancer (EC)—a disease for which patients typically have a poor prognosis and there is no approved systemic therapy (except in Germany). 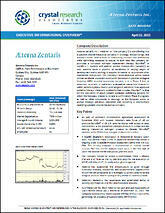 Aeterna’s development program also includes Macrilen™ (macimorelin), which has also completed a confirmatory Phase 3 trial for the evaluation of Adult Growth Hormone Deficiency (AGHD), with the Company intending to file a new drug application (NDA) seeking approval following its successful March 29, 2017 meeting with the U.S. Food and Drug Administration (FDA). 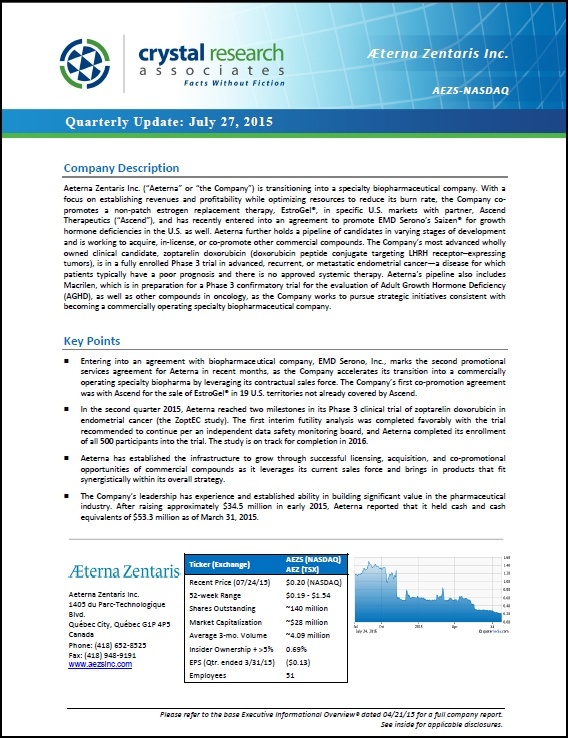 Overall, Aeterna is focused on pursuing strategic initiatives consistent with becoming a commercially operating specialty biopharmaceutical company. 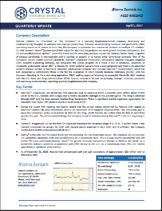 * The Corporate Snapshot was last updated on May 15, 2017.